The Lepow HiSmart Bag can control your music, take your calls, capture photos and more with a simple button press. Nowadays, it’s hard to find the perfect bag. A bag is either too big, too small, or just not practical at all. Most messenger bags simply carry your phone or computer around, but the $299 Lepow HiSmart bag can do much more. 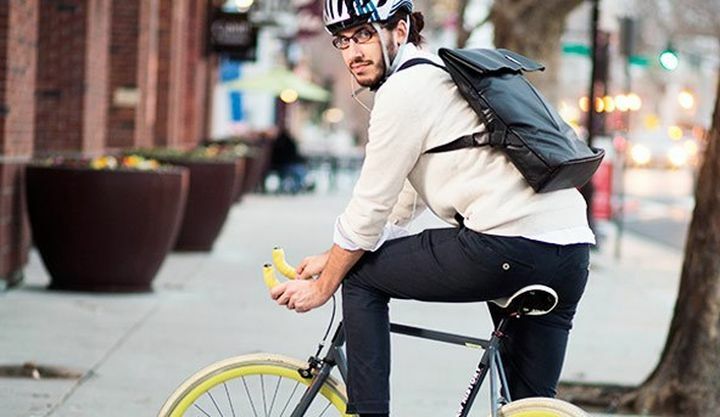 The newest version of the bag, which debuted at CES 2015, can answer your phone calls, control your music, start a voice recording, take photos and pin locations to a map, all with the press of a rechargeable large metal button in the strap, called the HiRemote. The new model was crowdfunded on IndieGoGo and will ship starting in July. 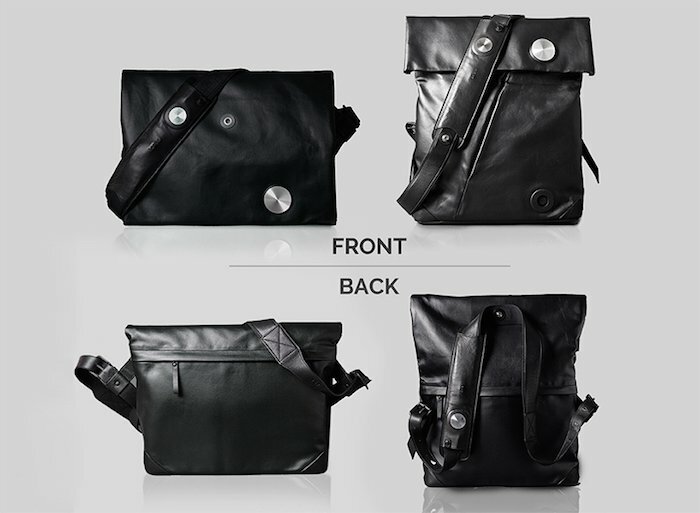 The bag can be worn as a tote, backpack or messenger bag, and it’s made of a waterproof canvas material with leather accents. It comes in black or a rich brown, and has a unisex style. Yes, this bag is not just for the ladies. Inside, the bag has 12 pockets to organize your gear, including a computer, tablet, phone and more. The Lepow HiSmart bag connects to an Android or iOS app to control the HiRemote, reference map pins, access voice notes or find your bag. The HiRemote vibrates when you get a call, and you can answer it with a press of a button and take the call on headphones connected to the remote. On Wednesday, Lepow also announced three other new gadgets, the Moovid, Rain and Clarity. Moovid is a portable power bank and cloud stream device that can stream video files to your phone. It has a 9,000mAh battery that can power 10 devices at the same time and 32GB of storage. No word yet on pricing.